Most people and companies vacuum their carpets at least once per week. But that may not be enough. You may want to have a high quality carpet cleaner come in behind you and do a thorough cleaning. What’s recommendations are that you get your carpets cleaned at least every six months. If you have high traffic areas for Arena commercial situation where you can dirty up carpeting up faster than that, you may want to consider having it cleaned once per month. 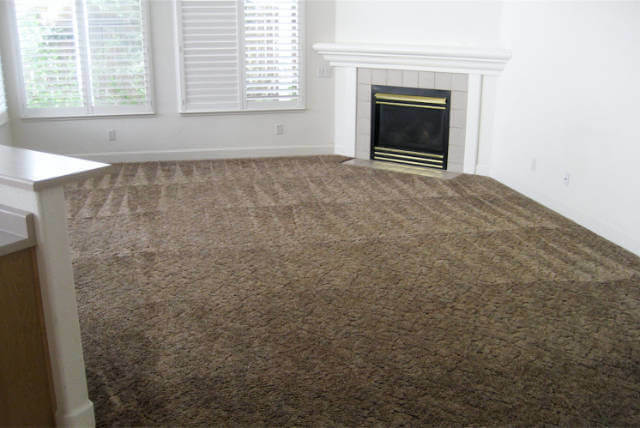 In Reno, the real choice for high quality carpet cleaning is Code 3 Carpet Cleaning in Reno. Our technicians of the most trained professionals available in Reno. If you look at the reviews online, you’ll notice a trend and that trend is that we get five star reviews all the time. This really shows that we are the high-quality carpet cleaning leader in Reno. As carpet cleaning professionals, we look at all situations separately. We can come in and analyze out specific problems. Many times were working with pet urine problems. So this is become a specialty for us. We use special UV lights to analyze the carpet and find problem spots. We look deep to see if the problem goes all the way through the carpet through the padding and into the flooring itself. No other carpet cleaner in Reno takes on urine problems The way that we do. Here in Reno, we are the best choice for high quality carpet cleaning because we train all of our technicians and certified their capabilities in every situation. Not only are we using the best in high-tech steam cleaning equipment, but we’re also using the best cleaning chemicals that we can buy. Along with the being of specifically high-quality also making sure that our chemicals are environmentally safe and safe for your home environment. This is very important us. One thing that we’ve noticed in Reno, is carpet cleaners come and go. Or dare I say, their employees coming go. Our team on the other hand, is a static team. We don’t have high turnover. We make sure that we take care of our people. And we only hire great people in the first place. Again, this goes back to only wanting to offer Quality carpet cleaning an affordable price. We do run specials. And when we do we give the same exact high-quality treatment to your flooring as so you’re paying top dollar. We want to be so good for you, that you would consider nobody else to be your carpet cleaner. I appreciate that you read all this I really hope that you’ll call us. I’d like to get you on your calendar so that we can show you the quality work that we do. So call today. We’re usually pretty booked up. I Want to make time for you. Call now.